You can give with confidence knowing every donation you make to First Liberty Institute is wisely stewarded and invested in the cases and initiatives that will preserve religious liberty today and for the coming generations. 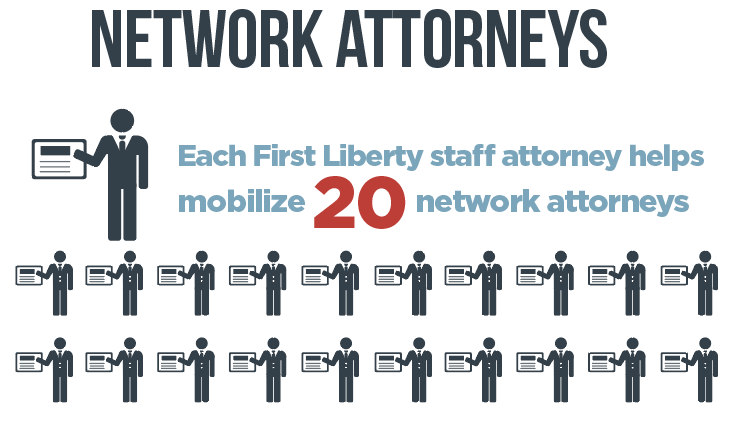 And with our network attorneys charging nothing to our clients, since 1997, First Liberty Institute has fought to defend and restore religious liberty in America. Throughout our history, we have provided elite legal representation at no charge to our clients. We take pride in providing pro-bono legal assistance to people of all faiths who have been attacked or experienced discrimination due to their religious beliefs. 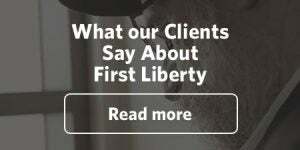 First Liberty’s unique, innovative legal model – partnering with our legal network of the nation’s top attorneys who donate their time – makes it possible for us to deliver superior legal defense for each client while leveraging the value of every donation. In fact, for every staff attorney we hire, we can unleash up to 20 network attorneys whose experience and specialization increase our chances of victory. Your donation has a multiplied financial impact. So for every $1 we spend on a case, our volunteer attorney network donates $6 in legal time. And that means every dollar you give goes a long way. 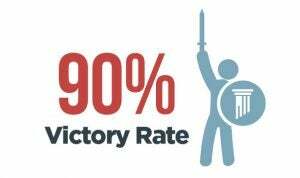 The expertise of our constitutional attorneys, combined with the best litigators across the nation, allows us to maintain a 90% win rate across all the legal matters we handle. And that means you can give with confidence. Because we represent our clients on a pro-bono basis, our funds are stewarded and invested directly into the cases that preserve your religious liberty. First Liberty is a member in good standing with the Evangelical Council for Financial Accountability. 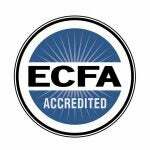 The ECFA sets some of the highest standards in the nonprofit world in terms of governance, financial management, and stewardship. Nonprofit organizations meeting these high standards are synonymous with credibility and trust. Your donation is tax exempt. 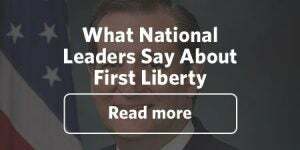 First Liberty Institute is recognized by the IRS as a tax-exempt organization under Section 501(c)(3) of the Internal Revenue code, and gifts are tax-deductible to the extent allowed by law. Your donation to First Liberty is made through a secure, SSL encrypted connection with validated compliance with the Payment Card Industry Data Security Standard (PCI DSS) and the Payment Application Data Security Standard (PA-DSS).